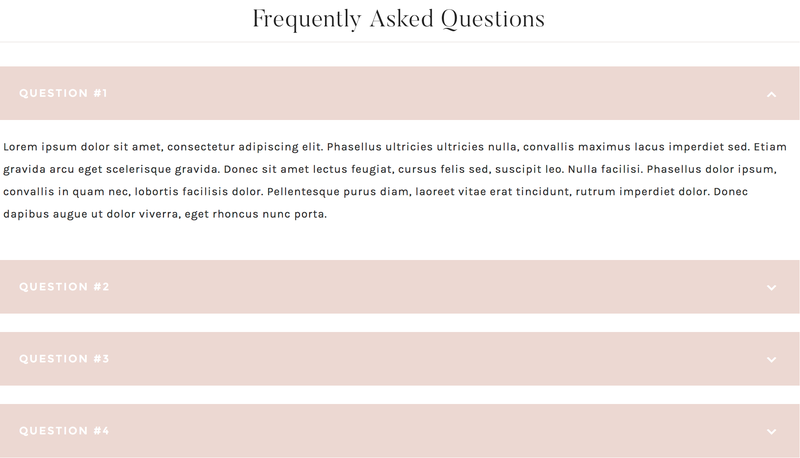 The Charlotte theme features a custom FAQ page. You can view it live here. 1. Install and activate Genesis Simple FAQ. 2. 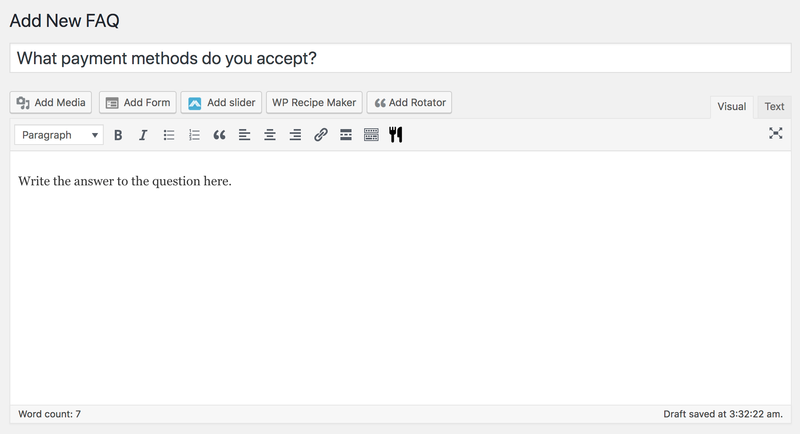 In your Wordpress dashboard, go to Simple FAQs > Add New. 3. In the title box at the top, put your question. In the content box, put your answer. Click Publish. 4. Next, go to Simple FAQs > All FAQs. Copy the shortcode for the question you created. 5. Go to Pages > All Pages and open the FAQ page (or create an FAQ page if you don't yet have one). 6. 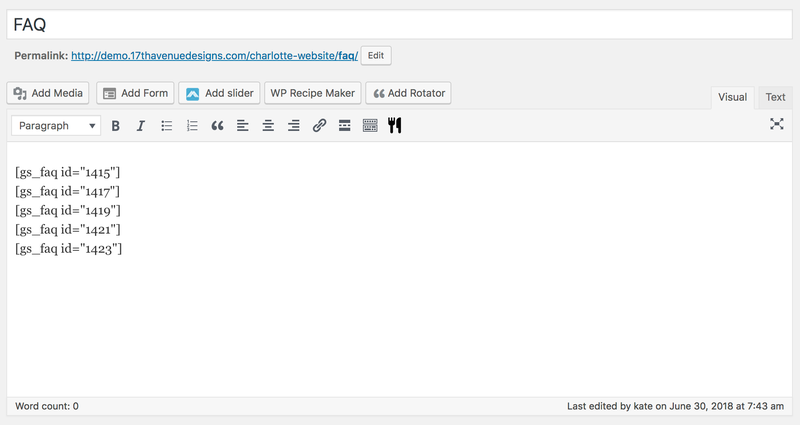 Paste the shortcode in the content box of your page. 8. Repeat steps 3 to 6 to add additional questions. You can add as many shortcodes/questions as you'd like on a single page. Just place them one after the other to create a "list" of FAQs.